Recently, I had the privilege of getting to do a fashion DIY post for Kmart. Now, you might be as skeptical as I was at first when trying to decide if the words 'fashion' and 'Kmart' went together cohesively. But let me tell you, they do! It was hard to narrow down exactly what I wanted between a gorgeous cream lace maxi dress, an oversized black blazer and the form-fitting-in-all-the-right-places white skinnies by Sofia Vergara. There were so many chic choices. But, in case you were worried, I did make a decision. And you, my friend, can see the results below. Dip dye is the new tie dye. You heard it here first people. But really, what do you think of the dip dye trend? Are you into it or think it will pass with the season like hair chalk and crop tops? I'm a fan of any fabric dying. Honestly, when done right, it really infuses new life into an otherwise seemingly boring piece of clothing you once used to covet, but just lost that loving feeling for. 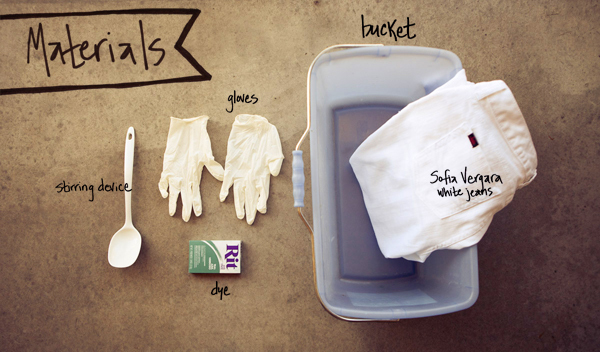 Do consider it next time before just throwing out a piece of clothing cause you're bored with it's color or style. It's cheap and simple! 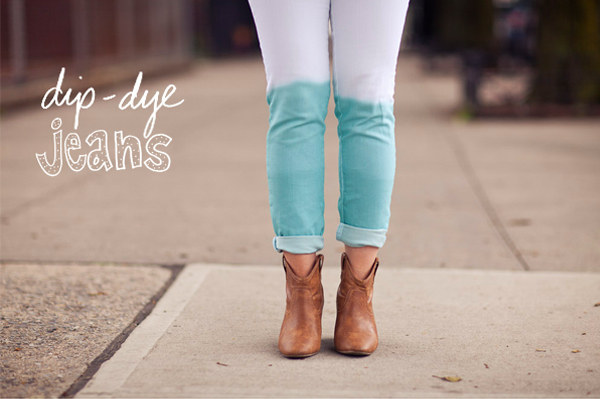 To read the full step-by-step tutorial on how to make your own pair of these dreamy dyed jeans..... head on over to Kmart's blog and get your dip dyeing on! And congrats to the lovely Lindsey on winning the Good Season necklace!